Jumper: £50, Hush. Denim jacket: £70, Hush. 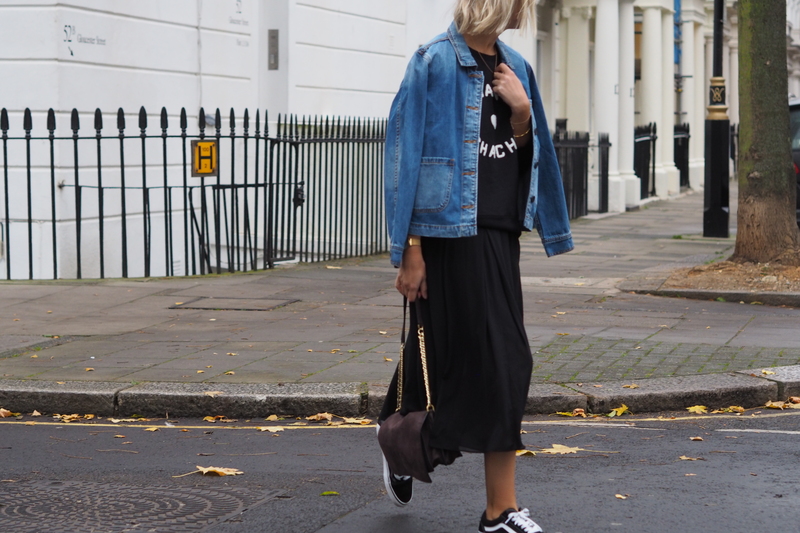 Skirt: £65, Hush. Bag: Marks & Spencer (old). All Hush clothes borrowed. Photographs: Christopher O’Donnell. Last month, I styled up a few of Hush’s signature logo sweatshirts for their Newsletter and blog. And although I wasn’t asked to share them anywhere, I thought they were too good not to show! 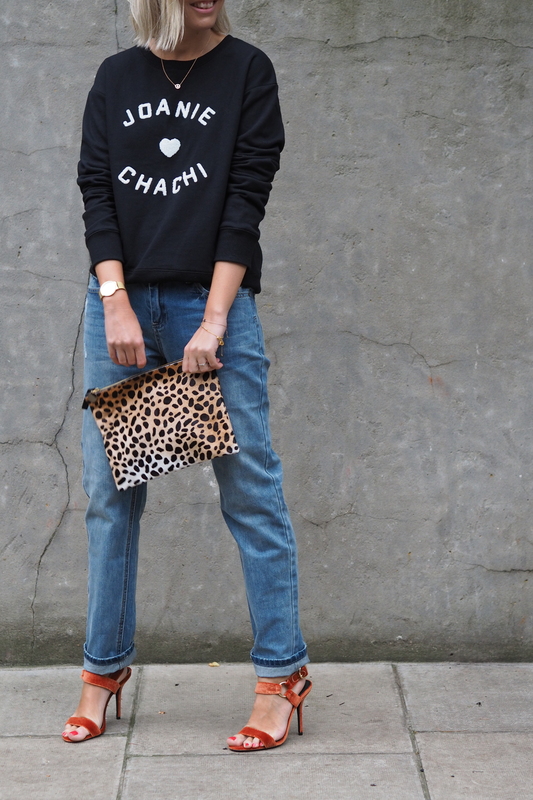 Because, after all, who doesn’t love a statement sweatshirt? 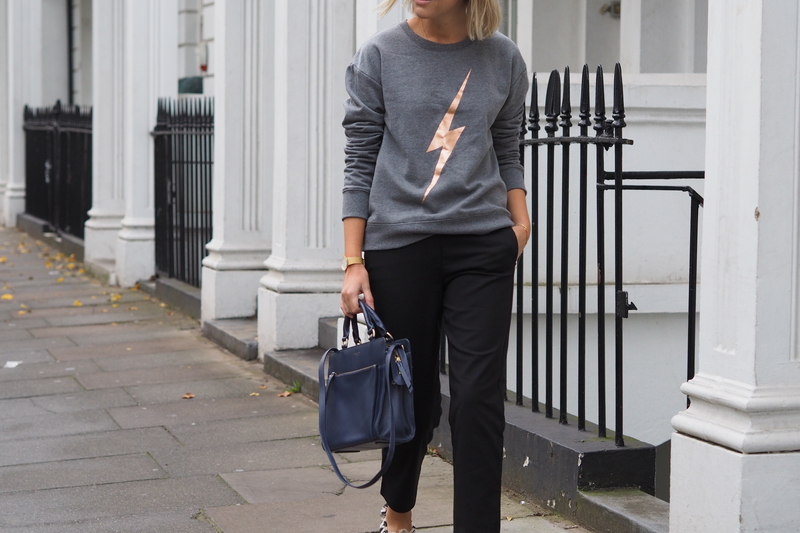 The piece was all about my love for logos…and the ease of a sporty sweatshirt, which works for both day and night. I borrowed all these for the shoot but I have the C’est Si Bon one from last season and have got so much wear out of it. Sweatshirt: £50, Hush. Jeans: £75, Hush. Sandals: £49, Topshop (available in black here). Clutch: Clare V (old but similar from Net A Porter here). Watch: £125, Skagen. They work with jeans, skirts and trainers but equally good even with smarter trousers (I’m lucky enough I could get away with this look below for work). And they add a bit of personality to your everyday. And that’s what clothes are for, right? Sweatshirt: £50, Hush. Trousers: £70, Hush. Bag: Radley (old). Shoes: H&M (sold out). 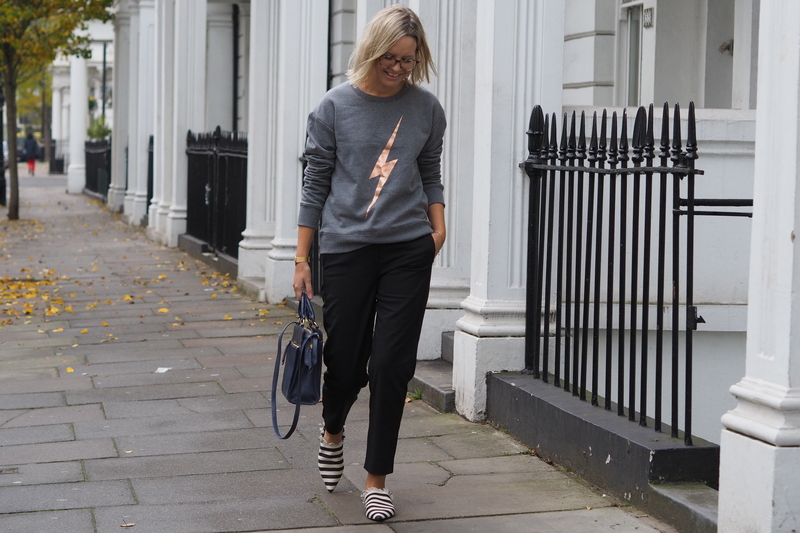 Arghhhhh this lightening bolt sweatshirt keeps popping up everywhere trying to tempt me to buy it when I’m trying to be good!! 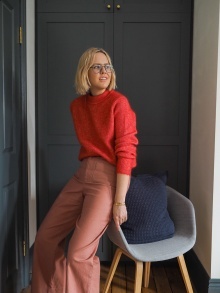 Another fab post Alex, love your styling and frugal finds. I love Hush and I think that the way you’ve styled it is just great! 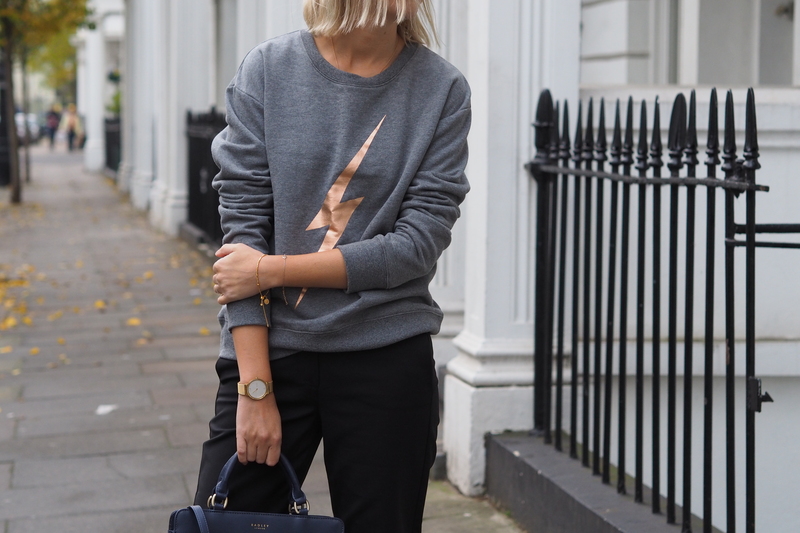 Such a gorgeous look – especially with the lightening bolt sweater! Love these! Thanks for sharing. Where are your Glasses From? Love the laid back, cool vibe! These tees are the cutest thing ever! Thank you for introducing me to a great new brand! I’d never head of Hush before, and they are so my style! Headed over to their website because I loved the lightening bolt sweatshirt, and found tons of other stuff I loved. Can’t wait for my order to arrive!